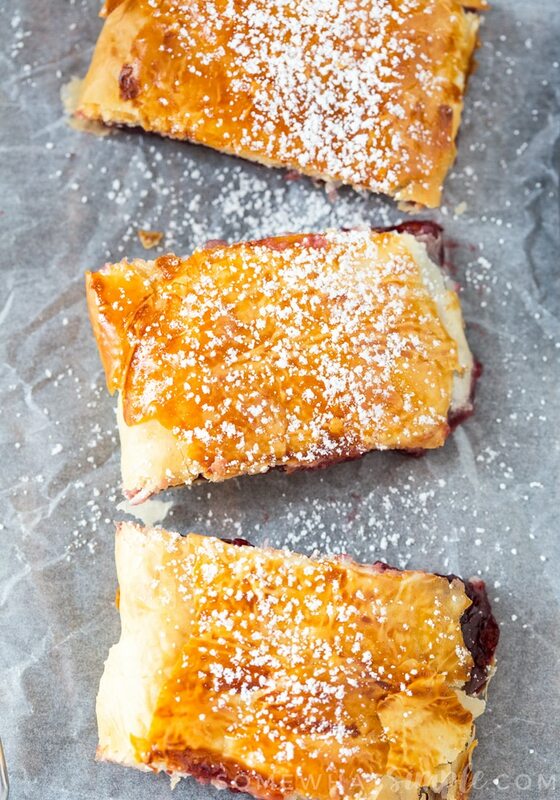 Easy Cherry Strudel Recipe – Flaky and Sweet! 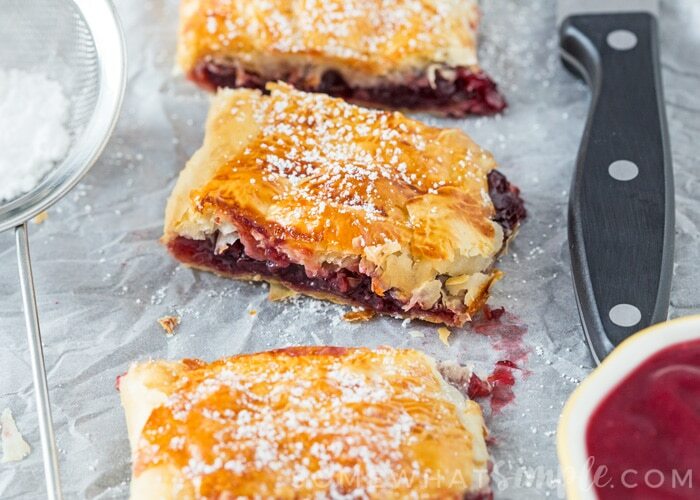 This Cherry Strudel is so delicious – nobody will believe it’s this easy to make! 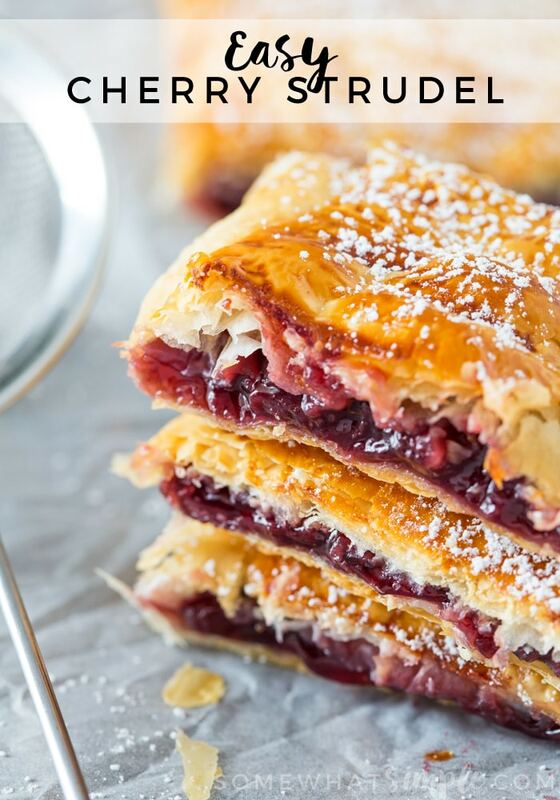 This Cherry Strudel recipe is a real crowd pleaser! A can of cherry pie filling and some sheets of filo pastry are practically all you need to create this crispy, sweet dessert. I’ve seen lots of easy strudels use puff pastry, but the super thin layers of the film party all layered together make the flakiest, crispest outer skin that is practically perfection! 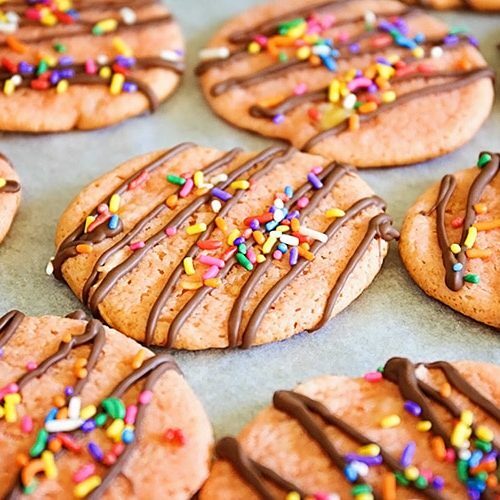 ••• If you want to make it simpler, you don’t even need to add the vanilla and sugar – I just wanted to jazz up the cherry pie filling a bit, but that’s totally up to you! Preheat the oven to 410F/210C and line a large baking tray with a silicone mat. Place cherry pie filling, vanilla, sugar and ground arrowroot/cornstarch into a medium sized bowl and mix until smooth. Place one sheet of filo pastry onto your baking sheet, longest edge facing you, then brush lightly with melted butter. Lay the next sheet on top, then brush lightly with butter. Repeat until you have layered all 5 sheets of filo pastry. On your final sheet of pastry, brush lightly with butter again. Take the 1/2 inch gap you left nearest you and gently fold over the cherry pie filling. Then gently continue to roll your strudel up until you get to the end. Hopefully you will end up with the seam side down on the baking tray, if not you will need to flip it. It will be fragile, so be careful! I used a spatula to lift half of it up, then placed a hand under there, then used the spatula again to help hold the other end, then I flipped it, so the seam was on the baking tray. Fold your ends underneath the strudel, then lightly brush with your beaten egg. Slash across your strudel a few times (just to allow some steam to exit!) and then place in the oven for 15-20 minutes, until golden and crisp and the filling is bubbling. 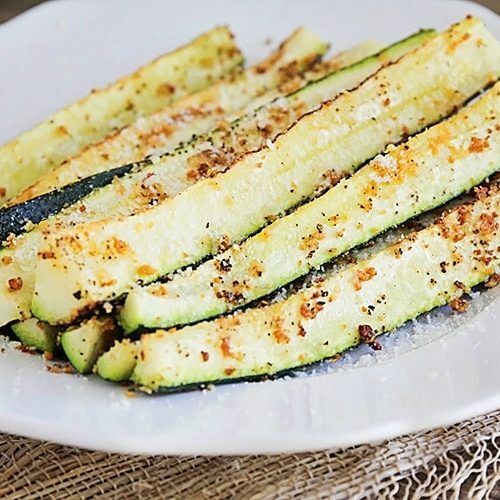 Leave to cool for at least 45 minutes before slicing into 8 and serving. I dusted my strudel lightly with icing sugar before cutting. You can either serve at room temperature or reheat for 1 minute in the microwave. 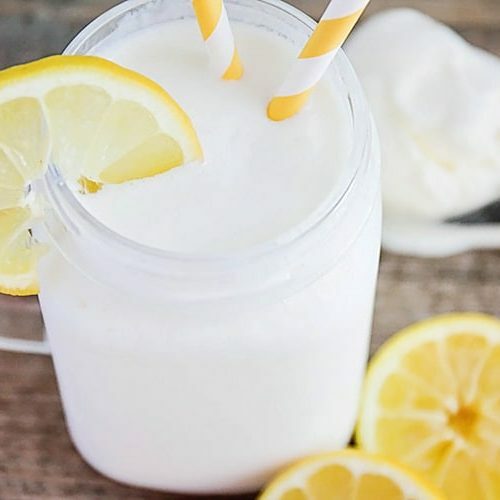 It’s also lovely with ice cream! Cherry Strudel will keep in an airtight container, at room temperature for 3 days.